Looking at individuals and their modern, hectic lives we see that, as time gets more and more precious. This hectic lifestyle clearly has an impact on the hair. We want little time in – lots out. 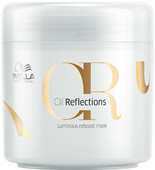 Wella also noticed that and therefore create new INVIGO lines. This range works really fast and saves you valuable minutes in the salon and at home with high-performance invigorating care. Perfect for all hair needs. Contains more than 76% natural or naturally-derived ingredients. Invigorating care blends. Time to recharge!